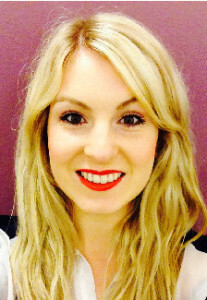 Claire is a registered dietitian having graduated from The Robert Gordon University in 2010. Since then she has been providing health and wellbeing services on and offshore as well as facilitating various projects around the UK for the NHS. Claire’s biggest aim is to help others realise that with a combination of healthy eating, exercise and support that they can achieve longer and healthier lives. Claire’s main hobby is dancing and successfully became the British champion of Scottish and Highland dancing, not once but twice! She continues her love for dance by helping teach children of all ages in the Aberdeen area and participates in musicals with Phoenix Theatre, performing on stages such as HMT. Claire has recently qualified as a gym instructor and is now working towards her level 3 Personal Training certificate. She specialises in high intensity interval training and has several bootcamps around Aberdeen. She has also embarked on her diploma in Swedish Massage and has recently started another diploma in Cognitive Behavioural Therapy. Rachel graduated from The Robert Gordon University with an honours degree in Sports and Exercise Science in 2012. 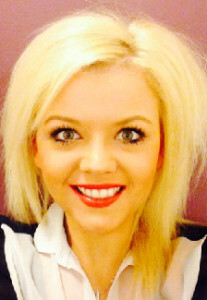 Since then she has worked on and offshore, providing health advice and promotion to various companies around Aberdeen. She is qualified in Swedish, Remedial and Sports & On-site massage. Not only does Rachel work in the area of health and sports, it is also a big part of her personal life. She has played competitive netball since the age of 9, captained both the Aberdeen District and Robert Gordon University team for several years and played for Scotland at the national level. She has now most recently turned her hand to golf and believes her biggest achievement to date is climbing Mount Kilimanjaro. Another skill Rachel brings to Global Health Promotions is her extensive knowledge and experience in stress management and cognitive behavioural therapy through her work as a counsellor. It is Rachel’s biggest aim of Global Health Promotions to help the world realise the devastating consequences that can be caused by mental health problems and has been known to say that it is a dream of hers to eradicate the stigma that surrounds it. She aims to help with this by embarking on her second Honours degree in Psychology. Global Health Promotions are a health and wellbeing provider to companies within all industries worldwide. We provide a variety of health promotional and educational services ranging from interactive, dynamic and enjoyable workshops on a wide range of health topics to supplying in depth health checks and medicals with one-to-one consultations to support and guide your employees to a healthier lifestyle. All of our services are created and implemented with the clients’ need at the forefront of our mind. We understand that when it comes to improving health, one size most definitely does not fit all. We are a team of highly specialised health consultants that bring expertise, knowledge, enthusiasm and experience to your workplace both on and offshore. We consist of registered dietitians, sports scientists, weight loss counsellors, cognitive behavioural professionals, personal trainers, massage therapists and stress management professionals. We pride ourselves on our drive to really work closely with our clients and be there for them every step of the way. We understand that changing your lifestyle is not an easy task. Here at Global Health Promotions, we provide the necessary support and expert advice that our clients need to make their all important change to live a healthier and happier life that little bit simpler. Our staff are all degree certified, participate in regular continual professional development and are naturally caring individuals. Each member of our team has the perfect combination of wisdom, acumen and empathy that no client will go unaided.